This solo exhibition features the work of artist Makoto Egashira, who was selected for the Grand Prize out of 100 exhibitors at Spiral Independent Creators Festival 17 (SICF17) held this past May. 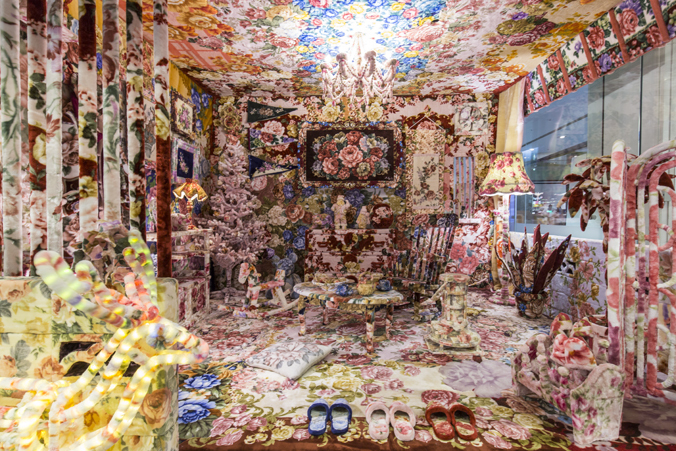 Egashira makes sculptural artworks using blankets with floral patterns in the rococo style that became popular in Japanese households during the postwar period of high economic growth.At SICF17, Egashira memorably transformed his exhibition booth into a toilet cubicle decorated in his signature floral blanket style. Resurrecting the memory of a typical Japanese household that so many people are familiar with, the installation intricately expressed both the aspirations and complex Japanese society had for the Western culture it embraced after the end of the war. The jury awarded Egashira the Grand Prize for the skill with which he matched his idea with his expressive technique, and for the work’s abundant humor. 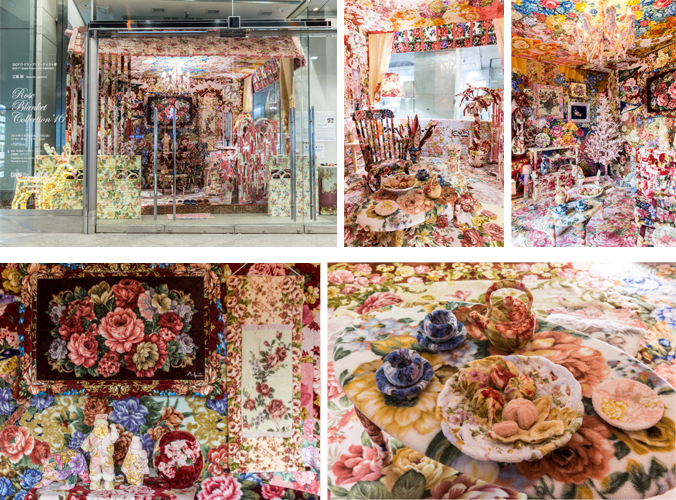 For this solo show, Egashira has converted the glass Showcase into a Western-style room, enwrapping the entire space from the ceiling to the floor in rose-patterned blankets. Entering this curious mixture of Western and Japanese elements, the visitor is reminded of a regular Japanese household.